I’ve been a fan of Harry Potter since I first read Harry Potter and the Philosopher’s Stone back in 1997. I’ve read all the books and seen all the films, so to say I was excited about going on the Warner Brothers Studio Tour is a bit of an understatement! We went during Hogwarts in the Snow which runs from Saturday 17th November 2018 to Sunday 27th January 2019. 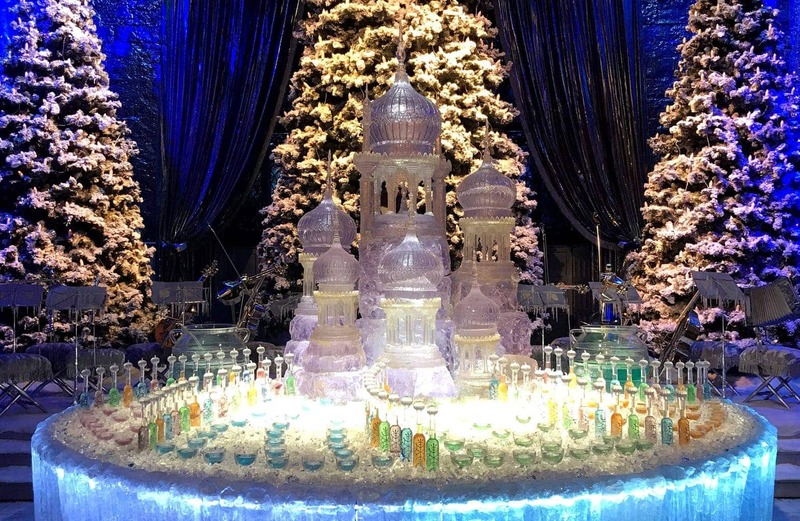 This festive transformation meant that the Great Hall was decorated as it was for the iconic Yule Ball complete with flaming Christmas puddings and an orchestra of silver instruments. Several of the sets were also decorated for Christmas, including the Gryffindor Common Room and Boy’s Dormitory, which featured Christmas cards made by the cast that were used in the films. We also got a chance to touch the three different types of snow used during filming – each one designed to do something different from falling like real snow to crunching underfoot. 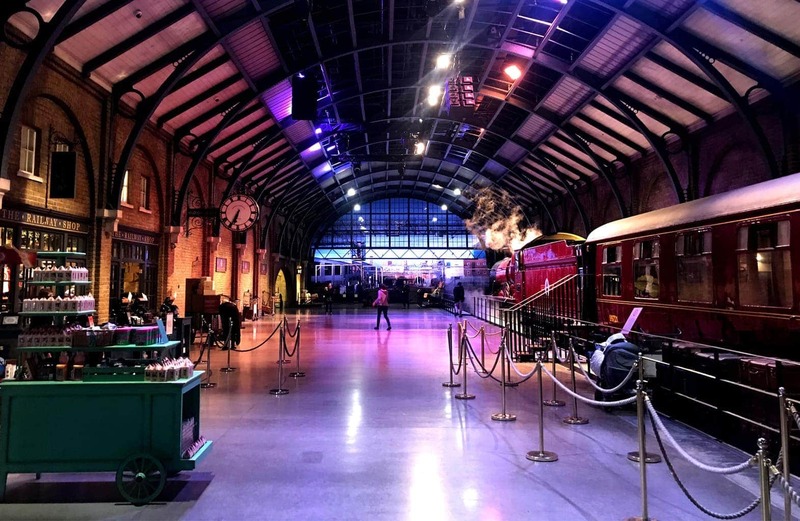 It was amazing to get up close to some of the sets used in the films, to walk through the Great Hall, see the Hogwart’s Express, climb aboard the Knight Bus and step inside 4 Privet Drive. 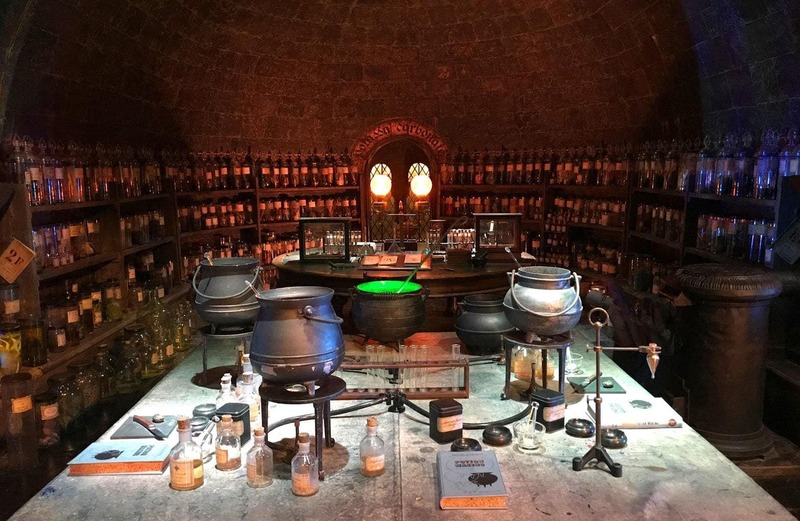 We even had the chance to explore the Forbidden Forest, step into Dumbledore’s Office, walk along Diagon Alley and peer into the Potions Classroom. Seeing these sets from the books and films brought to life was amazing and brought back the magical feeling I had when I first read the stories. If I’m honest, I’ve never given much thought to how a film was made, or the hundreds of people behind the scenes who make it happen from the Designers to Hair and Make Up and Special Effects. But the insights from these departments that are part of the tour were equally as fascinating as seeing the sets. 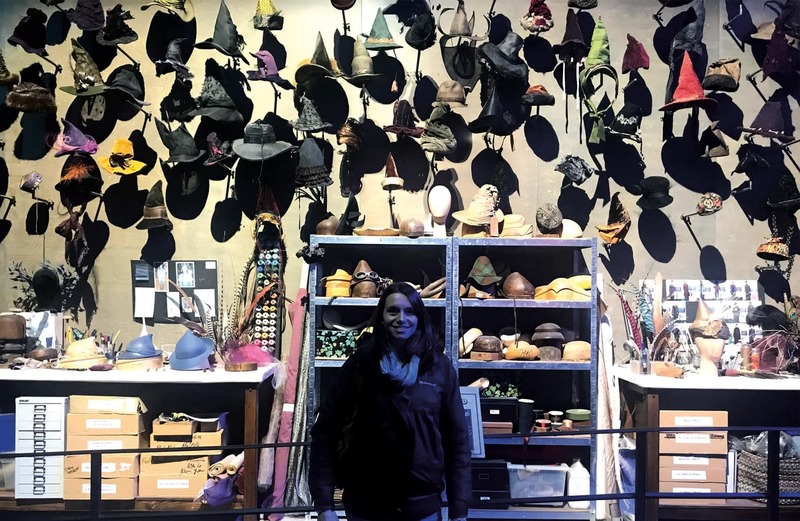 We learnt about the different costumes and wigs, saw lots of the handmade props and learnt how the designers played around with the perspective of some sets to make some things look bigger than they were (Hagrid for example!) We also saw how the Special and Visual Effects departments blended CGI with moving models to make convincing dragons, snakes and house elves to name but a few examples. We also saw some of the original drawings from the Artists and Designers who worked on the films; from the tiny paper model built of Hogwarts which they used partly to work out camera angles to the much larger model of Hogwarts which was used to film all those sweeping scenes where the camera pans over the school. Located 20 miles north-west of London near Watford, the Studio Tour has ample free parking and regular shuttle buses that run from Watford Junction should you arrive by train. There is a Studio Café coffee shop at the entrance to the tour next to Starbucks and The Backlot Café half way through the tour (I can recommend the Southern Chicken Burger). You can also buy Butterbeer from the Backlot Café although it was far too sweet for me! There is a very extensive shop at the end of the tour as well as a few smaller ones on the way round. All tickets to the tour need to be pre-booked. 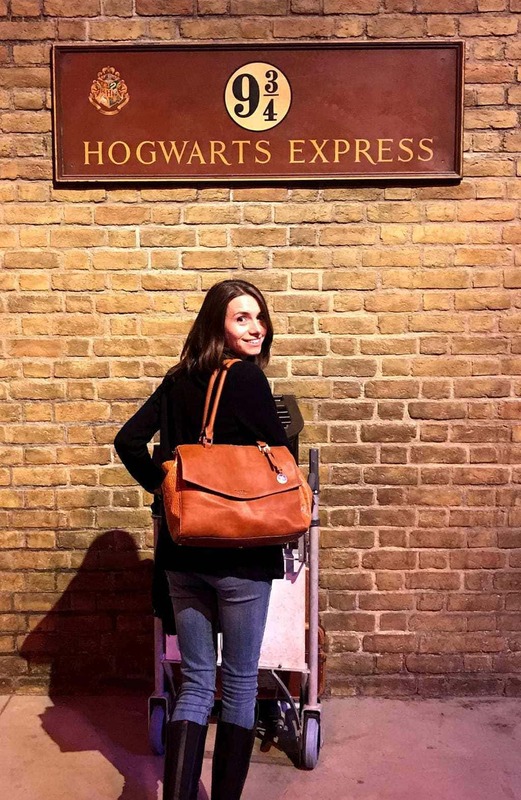 I would highly recommend the Warner Brother’s Studio Tour for anyone who is a fan of the Harry Potter books and films, or interested in filmmaking. Being able to experience the tour during Hogwarts in the Snow was the perfect way to kick off the run up to Christmas and since getting home, my husband and I have started watching the films all over again. Our tickets were complimentary but all views and opinions are my own.